Interview with Chris Meigh-Andrews by Aneta Krzemieñ at Bunkier Stzuki, Krakow, Poland, November 2003. Aneta Krzemieñ: Chris, you are currently artist in residence at Bunkier Sztuki in Kraków to work on a new artistic project, so as a starting point could you just say few words about your project? Chris Meigh-Andrews: My original proposal for this residency was developed from recent projects that I’ve been working on. In several previous projects I began by working with a specific location that was associated with a historic photographic image. In the past few years I have become very interested in investigating relationships between place and image, and that includes the relationship between the time when the image in question was first made and the time that we are in right now. My interest is in the historical, geographical and temporal relationships between a specific moment in time and a particular place in history – at least that’s the starting point… My proposal was to seek out to some images made by Kraków-based photographers that present an image of a “place” – images that are recognizably and specifically Kraków’s, and that are in some way related to a sense of the history of the place, but also relate to a contemporary experience in some sense. It’s quite important for me to connect to what’s going on in the “here and now” of Kraków, because I am increasingly interested in learning about other places, visually. Tied into this visual learning there is always an uncovering of some aspects of the history itself – for instance information about who the photographer was, what he (or she) did, how the images are understood now, etc. So, for example, I’ve spent several weeks looking around for locations in Kraków, narrowing the field down to four or five places, spending time in each location just hanging around, looking at what was going on and trying to look at things from the viewpoint established by the original photographer. I was also looking to see how the locations have changed in relation to the original image: are there new buildings around? how is the building and the space around it used? what are the conditions like now? After deciding on these four images, I took a series of photographs at each of the locations. This photographic activity was a way of focusing my attention. You could say that it is a way of posing certain questions, such as: “since this is the frame that I am trying to maintain, (the composition that’s given to me by the photographer) what happens (across time) within that frame? what/who visually goes through it, how does it change from night to day, how does it change across the day? How is it affected by the weather conditions?” As I said, making these photographs is a way of focusing my attention. I spent a long time going back to each of the locations, just hanging around, taking pictures, but also just observing. This photographic activity is not the final art work – it is the research. The final output of the project will take the form of digital video projections, and it will of course be very different from the stills photographs. My plan now is to produce two video sequences, which have been selected from the five initial possible image locations. The two I have choosen are rather iconic – they are images of locations that people continue to photograph, not only are they framed by those two historical images. Not only did Ignacy Krieger and Stanislaw Mucha frame these locations, but also tourists and locals – even the artists who sell pictures at the Rynek frame the images in this way, so there’s almost a tradition. This is the case for the Mariacki Church framed within the arches of Sukiennice and the same is true of the view of Wawel Castle from the river. Whilst I was standing there many people took pictures from the same vantage point. So there’s something almost archetypal about these locations. I want my video pieces to make reference to the fact that images of these places will appear again and again… they have in the past they will in the future. My intention is not to make videos that reproduce two works by two photographers, but to make a reference to locations that are photographed constantly, so that the relationship of these images to the place – to Krakow is constantly restated, or perhaps reaffirmed. There’s a reference to the continuity of the view, and this has come out of the activity of spending time at the location – the bit of the world that I am focusing my attention on at this time through the frames of those photographers – and many other cameras. AK: So in your work you juxtapose two mediums, photography and video, and each of them brings different formal problems, for example framing, composition but also has it’s different notions of time. So can you tell me more about these problems, that seems to be essential to work. Photography draws its sense of framing from painting – there’s a tradition that extends from painting, which has to do with identifying or isolating a moment in time, freezing it and turning it into something that can be “handed round” by individuals – to be shared in some way. So the tradition of painting moved via photography into the moving image, but what is added is the “temporal dimension”. But I am not interested particularly in talking about the cinema, I am talking about the capturing of a moment in time, and being able to repeat it – to rerun it and to take that moment, and condense and manipulate the time into something that becomes more like an object than like an ephemeral temporary image. For example we could take a fragment of time, say a minute, and contain that minute and forever examine it as if it were a photograph. A photograph freezes a moment but I take a sequence and hold the sequence and work with the duration, playing with the framing of the time and the scene in a sequence. So there are two kinds of framing, we have the image framing, and then we have the temporal framing. Forming a loop of time gives me a way of holding time as if it were a special kind of object. Once I’ve done that I can manipulate what happens within that envelope of time. Temporal composition is a way of orchestrating time, in a sort of musical way, as when you take a phrase of music and control how it unfolds. AK: So the video gives you an opportunity to work with the fourth dimension? CM-A: Yes- although the cinema gave us that too, I would argue that video is different from film, in certain important respects. For example the way the video frame is built. In film the single frame is a frozen moment. Video frames are made of scanning lines. In a so-called frame of video (1/25 of a second) there are 625 lines which are built up sequentially, that makes video more fluid than film, because it is continuely flowing, like water. AK: Is there some notion of narrativity that you are interested in, as opposed to the static nature of photography, or rather is it duration you’re concerned with? CM-A: I would say, it depends on how you define narrativity, if it’s a story in a cinematic sense, I am not very interested in that, but I am interested in the kind of stories we build out of ordinary events. The way we take the huge amount of experiences that are constantly flooding in, and make sense of them by picking up details and joining them together. There’s sense in which we build a story or a narrative out of the random elements and events that constitute our lives. You’ve used the word “duration” – that’s the kind of thing I am interested in. Creating a piece of work, where the experienced time that the viewer has whilst looking at the work, becomes a kind of physical object – so that we have a sense of time that is experienced by watching, which is much more like the experience of holding a photograph in your hand. In other words the experience provides you with something that you can contain, which is much simpler that the experience of a story, it is more like a sculpture that you can walk around and build a sort of three dimensional sense of. That’s the sort of duration that I am interested in building in my video. I want to use the temporal element of a video so that rather than watching a story unfold passively, I want to provide the viewer with the potential for an active engagement. CM-A: Yes, the condemned man, I recall the caption in “Camera Lucida” was “he is dead and he is about to die”. AK: You are looking in the eyes of someone who is already dead, so there’s a catastrophe going on every time, because we know what is going to happen There’s a sort of the loop of time. CM-A: I suppose there is a loop of time, but the difference is that this time is just a fraction of a second and that’s all we get, life doesn’t happen like that, the photograph turns a moment into a special class of object. 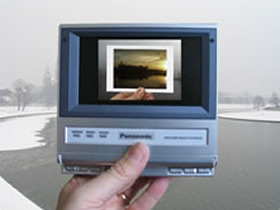 Barthes says in another part of “Camera Lucida” that the image is one of these unique objects that has two halves that are inseparable: the image itself and the event. For example the window and the landscape, being married together in some way. This is something I am interested in too – what I would call symmetry. By symmetries I mean opposites that are contained somehow within the experience, for example in a photograph there is also always a negative. The other symmetry is the one that we’ve talked about, which is the image and it’s source – these things always go together, whenever we look at an image we imedately and automatically refer to the actual moment. This only happens in our heads. What I am interested in is making works where that mental activity becomes a conscious process. In other words I like to make works in which there is a prompt within the work to make the person become conscious of the dynamic relationships between the various elements that I am presenting. So for example the video makes a reference to the original photograph and simultaneously refers to the gap between the now of the video and the then of the photograph. Video always seems to signify the immediately accesible image versus the historical photograph. When both of these things are imaged together then the gap between the two becomes something conscious in the mind of the viewer – that’s what I like to think. What I am striving to create is a play in the mind of the viewer between those two spaces and those two times – to bring them together but also to make the viewer become conscious of the fact that they are jumping back and forth between the two. AK: You were talking about photography versus video in terms of the sense of time. What about the digital, does it imply different notion of time – simultaneity? CM-A: Yes, one of the things that interest me about the digital is that within the image frame of video it is possible to introduce other image frames simultaneously and each of those can represent a separate time frame, so for example you could have a “window” in the middle of the image frame displaying a – lapse sequence, compressing 24 hours into a few seconds. In another area a “real-time” sequence of a hand holding a photograph in front of the lens. All of these can be simultaneously held within a digital frame. What it eventually enables you to do is to replace the whole notion of a flat two-dimensional frame. Think of a space-time frame that is no longer a conventional video window, but an imaginary “televisual” space, a theatre of the mind, where time objects can occupy a virtual space. This is not what I am making at the moment but it is more to do with a potential for video or rather of the digital image. AK: And one last thing. I would like to get back to Barthes’ statement about the notion of catastrophe, strongly related to the sense of history intrinsic to photography. So my question is that you are here in Kraków, juxtaposing, say photographs taken before the war and the contemporary view of the same places. Is a sense of historical awareness important to your work? CM-A: First of all there’s a formal thing. The images that I am drawing on, the photographs by Krieger or Mucha, I want them to be recognizably from a different and particular historical period. What I want to do is establish the continuity between things as they were and things as they are, but also that within this continuity there’s a sense of change. So yes, I am interested in the work I make here being very specifically about Kraków. I think people do live in the city with a sense of it’s past. What we are surrounded by here are buildings going back – in the case of the city walls – nearly one thousand years, but they still have a pertinence, a relevance to people’s lives now. The castle is not just a tourist attraction, it represents something historical and physical, it represents the city in some significant way. Maybe that’s one thing that a historical building does, it remains people off the changes. Life around the building changes and that in turn affects the way that people refer to it. The historical photograph stands in for the building or the view that I am referencing. The work is only partly about the photograph – it’s also about the real growing changing place. AK: Thank you very much for the interview and I am looking forward to seeing your project soon.